Remember sand art? Bottles and shapes filled with layers of colored sand? It always looked good enough to eat… and now you can with Sandy Candy aka Edible Sand Candy. 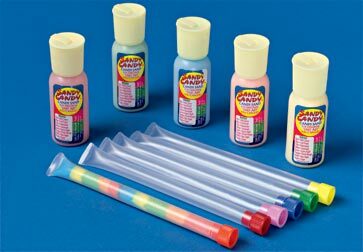 Our friends over at Sandy Candy want to share their fun and tasty Sandy Candy with Candy Addict readers so they have donated 12 (yes, twelve) Mega Paks of Sandy Candy (each a $50 value) for us to give away! What’s in a Sandy Candy Mega Pak you ask? That’s enough Sandy Candy to have a great birthday party activity! So, what do you have to do to get yourself a free Sandy Candy Mega Pak? This one’s easy… just compose an original poem about Sandy Candy and submit it as a comment on this post. Make it cute, funny, sad, or whatever you want (it doesn’t have to rhyme either – haikus are okay too). The 10 best Sandy Candy poem authors will receive a Sandy Candy Mega Pak. For those with less than stellar poetic skills, we’ll give two Mega Paks away to two random entrants – so enter even if you can’t figure out what ryhmes with “orange”. Be sure and use a real email address you check regularly so we can contact you if you win. Contest ends May 8, 2008. Prize packs can be sent to US addresses only – no P.O. Boxes. Entrants must be 18 years of age or older. Offer void where prohibited. Not responsible for lost or misdirected e-mail. If you don’t reply to the winning email in 3 days your prize will be forfeit and we will choose another winner. and over cake you fight. it is soon figured out. and for the cotton candy sand you now yearn. you seem to have missed something. Mom won a whole box! She was a true Candy Addict. with that sand if you had it. is the craft table barren? and then you start staring. the dog helped her to eat. So she now only eats Sandy Candy! can i has sand plz? Sweetly striped tubes of this goodness, oh joy! A present? For me? How sweet! Sandy Candy have a ball! those tubes look like fun. My three-year-old would love to eat. And who wouldn’t want to put a smile on her cheeks. My redhead’s birthday party take the cake! At birthday parties it comes in handy. Combining the flavors is a lost art. To taste, play, lick and savor. I wish I could win this candy! My sisters would think I’m quite dandy! But I wouldn’t really care. And all of it would soon disappear! Sand in a plastic hourglass. You, Sandy Candy, are the sweet melody missing from my life. Because there’d be a ton! Or my jeans would hardly fit! Please give me the sandy candy! I only buy it once a year in a little store in California, and I didn’t even go to California last year, so I haven’t had ANY in nearly two years!!!!! To toils of days long. From flavors which are interlaced. Delicious flavors which might be mine! For which we didn’t have to pay! The sun settles down on my sallow face. bedecked in their blonde hair and bikinis. while waves and women pass by the wayside. it is a place for rippled romantics. lamest bestseller from the New York Times. granules of sweet, satisfying sugar. The only sand deserving of my time. I have to admit, I hold for, desire. What may happen next, as quick as a blink. Jgarrett – I wonder if we are aloud to enter more then once, eep eep! A secret hideout just to sit around an play with candy? Just tell them you’ll be visiting with old friends. I’m going to make mine completely red. That’s boring. You’re supposed to use a bunch of different colors. Polychrome is really 2006. Mine’s just going to be simple. Red. Bold. Fine. The whole thing is gonna taste like cherry. A classic design choice updated for the new millennium. It’s 2008. The millennium is no longer the new millennium. Can you think of a newer one? A masterpiece I’d love to eat! And fill the hole where candy lacks. Ps. I think the people who put the same poem twice should have one of the doubles deleted!! To eat sand that was flavored like grape, or black cherry? And if I had the chance, Iâ€™d try them all in a minute! And well worth the aftereffect of my sugar-high tension! Sandy Candy that everyone can eat! He had to admit, it was the happiest surprise of his life. Is it candy or is it art? But sandy candy is divine! This is a treat Iâ€™d love to try! I hope at least before I die! For your friends who are caring! Just the way I want. until they are all down. If you dont like this poem then um… I WANT CANDY!!!!!! !please please!!!!!!!!!!!!!!!!!!!!!!!!!!!!!!!!!!!!!!!!!!!!!!!!!!!!!!!!!!!!!!!!!!!!!!!!!!!!!!!!!!!!!!!!!!!!!!!!!!!!!!!!!!!!!!!!!!!!!!! stars were glowing in the sky. The sun rose and it was a beautiful day. Cotton candy were the clouds. Lifesaver flowers rose from the ground. It sounded like my mom. I Hope I Win This Competition So I Can Have A taste. i can’t lift myself up to get in my Chevy. One day at the beach,and when I feel beat,I dream of a candy concoction.One made of yummy sweet sand,and tastes not too bland,and feels me up with joy.Flavors of cotton with buttons of sugar,and of bubbkegum,oh yum yum! And,if you will please,give me this sweet treat,I will dream a very sweet dream! Slides down to my tongue. My mouth has lots of fun! Just a bit of sweet. I’ll make just one more treat. I’m going crazy! Someone save me! I could pour this stuff all night! 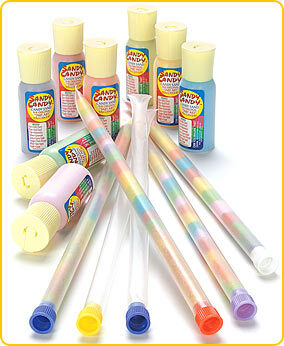 Sandy candy! What a treat! Its so much fun to eat! i love to eat it every day. its for teens and adults of all ages and what a treat. and sandys candy is all the rave. My pounds will gain a few! We can enter more than once right? as long as they’re different poems? sweet sweet gumdrops lollipops snowdrops slopplops bakeshops on treetops milksops soda pop co-op coin drop on a table top rooftop candy shop.sandy candy yummy tummi smoshi smushi in my tummi.suggary grains of yummy delight to eat until midnight write on site. we look we search in hope of joy snickers?oreos?none go pasing by our eyes. so in seach of a treat please one pack of sandy candy to eat!!!!!!!! Layer 2, 4, or 10.